Did you ever really stop to think about what that stuff is floating around in the air? While you think your home air is clean - think again! According to the EPA, indoor air can be 5 times more polluted than outdoor air. And did you know that the average 6 room home in the US can collect up to 40 lb. or more of dust per year? To help protect your family from breathing in this dust and filth, we recommend you clean the air in your home. 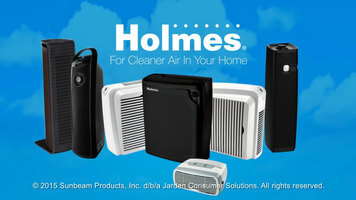 Keep care of this dusty, dirty problem by using this Holmes desktop air purifier. The Holmes air purifier is designed to trap airborne particles quickly. This smoke chamber demonstration is to illustrate just how effective it really is. As air passes through the filters, dust, dust, smoke, and allergens go in, but don't come out, so your family can enjoy fresher air for cleaner, healthier, more comfortable living! Great for hotels, resorts, and spas, the Holmes desktop air purifier helps remove the dirt, dust, allergens, and other filth that contaminates indoor air. This helps create a truly welcoming and healthy environment for both employees and guests. Check out the video to discover how a Holmes Air Purifier will keep the air in your home fresh and clean. 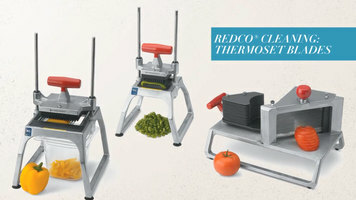 It's imperative that your food processor equipment is properly cleaned and maintained, so learn the ins and outs of the simple process by watching Chef Rich walk you through the steps. Install your traverse fence with these simple steps! 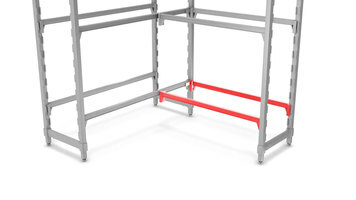 All you need are your two corner connectors, the traverse fence parts, and a hammer.